The start of a New Year marks a time when many Canadians re-evaluate their lives and careers. Goals are set, and many people dream about controlling their own destiny by becoming their own boss. A&W Food Services of Canada Inc.—Canada’s original and fastest growing quick service burger chain, with over $1 billion in annual sales—is offering hundreds of Canadians the opportunity to turn those dreams into a reality and will be awarding more than 200 new franchises by the end of 2020. A&W has more than 860 restaurants across the country and is Canada’s second-largest quick service burger chain. With a larger restaurant footprint in Western Canada, the expansion strategy will focus predominantly on Ontario, Atlantic Canada and Quebec, while still exploring new opportunities in western provinces. In addition to the expansion, in early 2017, A&W will award its first-ever Urban Franchise Associate Restaurant. The Urban Franchise Associate is a unique franchise opportunity for young entrepreneurs that was introduced in 2016. 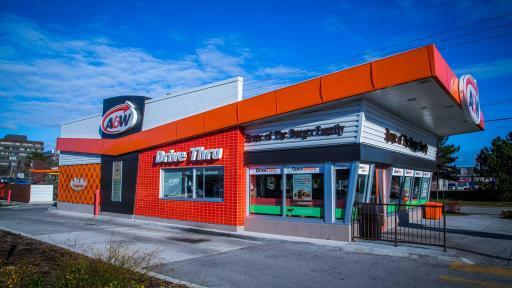 A&W will also launch a brand new franchise model created specifically for people seeking business opportunities in smaller communities that cater to family life. 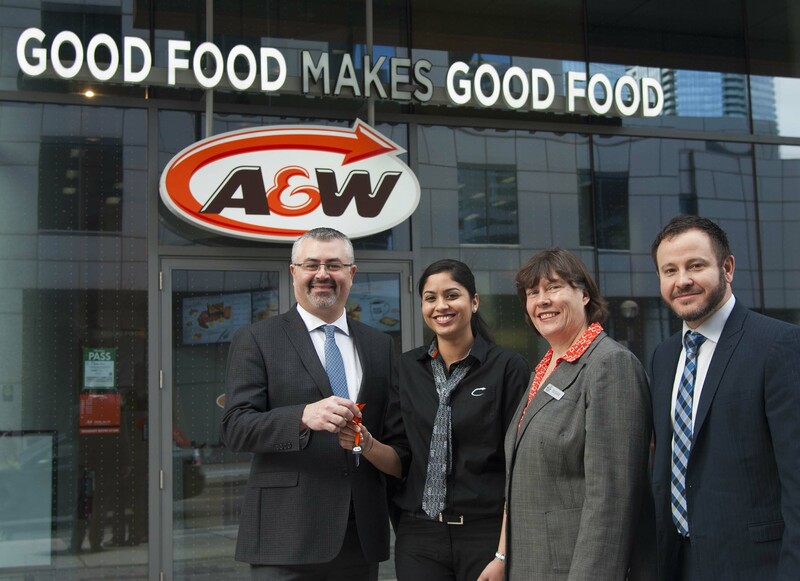 A&W’s franchise model is recognized as a Canadian Franchise Association (CFA) 2016 Franchisees’ Choice and the company has been a Platinum Member of Canada’s Best Managed Companies since 2009. Many of A&W’s franchisees begin with one restaurant before going on to own two, three, four or more locations. 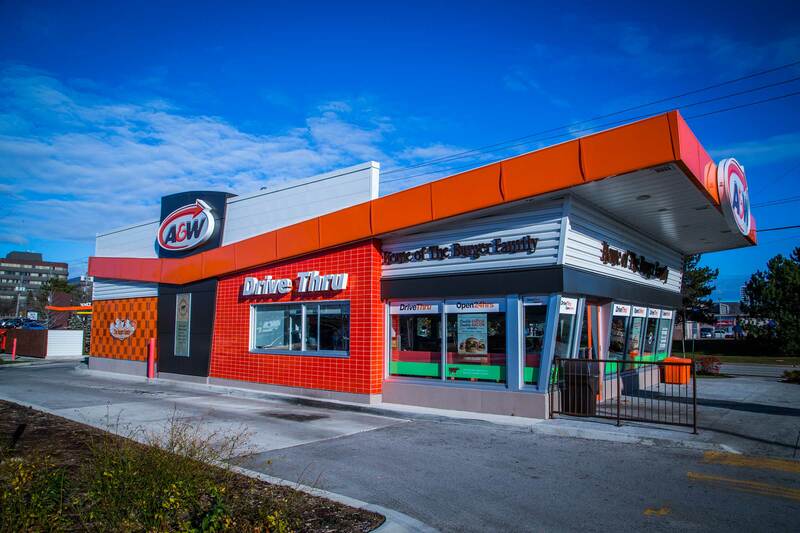 A&W is kicking off 2017 by opening its first-ever Urban Franchise Associate restaurant. The Urban Franchise Associate program was introduced in 2016, and provides millennials and young entrepreneurs a turnkey opportunity to learn the business and to run their own urban restaurant with an initial investment of just $125,000 to $150,000. 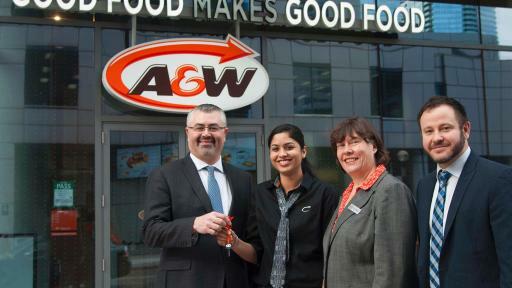 Barmil Mallhi joins A&W as the first Urban Franchise Associate to open her restaurant. A wife and mother to a five-year-old, she was attracted to A&W’s unique Urban Franchise Associate program as the opportunity allows her to be her own boss while still focusing on her family. Mallhi moved to Toronto from Winnipeg to achieve her dreams of owning her own business. She has extensive retail and food service experience and entrepreneurial spirit. Mallhi is the first of several other Urban Franchise Associates planning to open their restaurants in 2017. Her restaurant is located at 2858 Dundas Street in Toronto, ON, and is scheduled to open to the public February 23, 2017. The small town franchise model is designed to appeal to families living in communities that offer a great quality of life. The opportunity will require a lower investment than a standard franchise and will be available for Free Standing Restaurants. 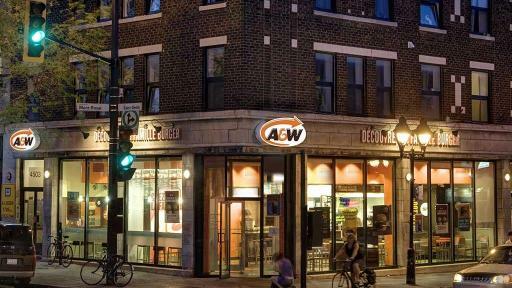 A&W is finalizing plans for this new franchise concept, and more information will be available soon. 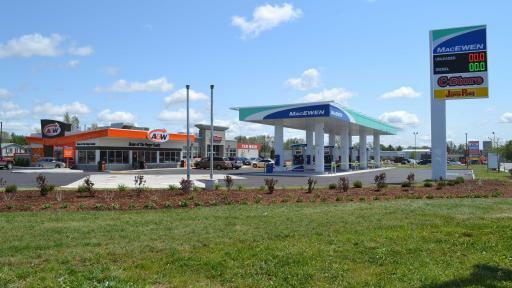 In addition to its Urban Franchise Associate and new franchise model designed for small towns, A&W’s business opportunities also include standard franchising at its Drive Thru and Urban restaurants. There are many variables impacting the required investment for a standard franchise restaurant, including restaurant type, size and location. 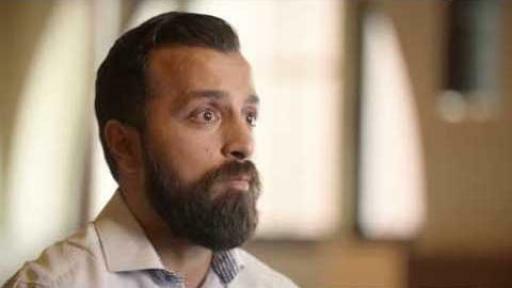 A standard A&W restaurant typically ranges from $800,000 to $1,400,000, and new franchisees must be prepared to provide no less than 35 per cent of the total amount in unencumbered cash. Looking for Speed and Convenience? Check out the Drive-Thru! A&W’s Drive Thru Restaurants are reminiscent of the original drive-ins, which first opened in Winnipeg in 1956 and quickly grew to more than 200 locations by the end of the 1960s. 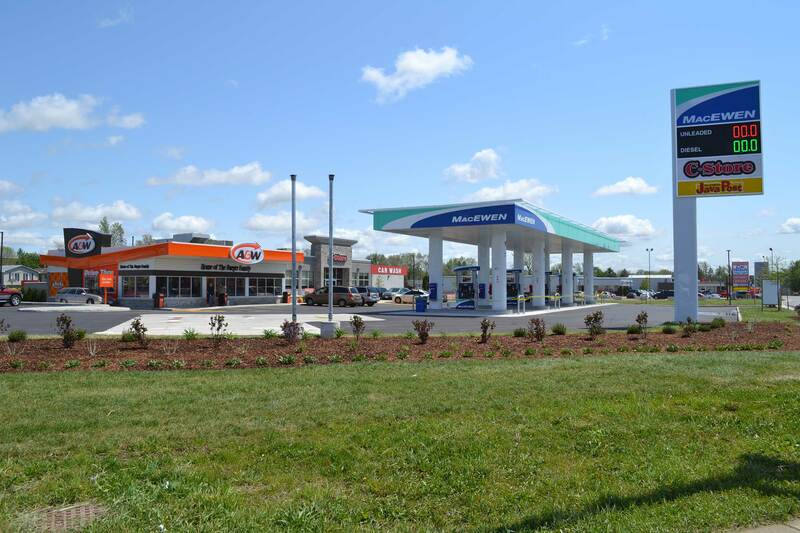 Today, A&W offers two Drive Thru restaurant opportunities: Convenience and Free Standing. The restaurants have a modern interior look, are located in areas with high vehicle traffic, and feature drive thru service and ample parking. Both Free Standing Restaurants and Convenience Restaurants are designed to succeed well in smaller communities with Convenience Restaurants being located next to a convenience store or a gas station. 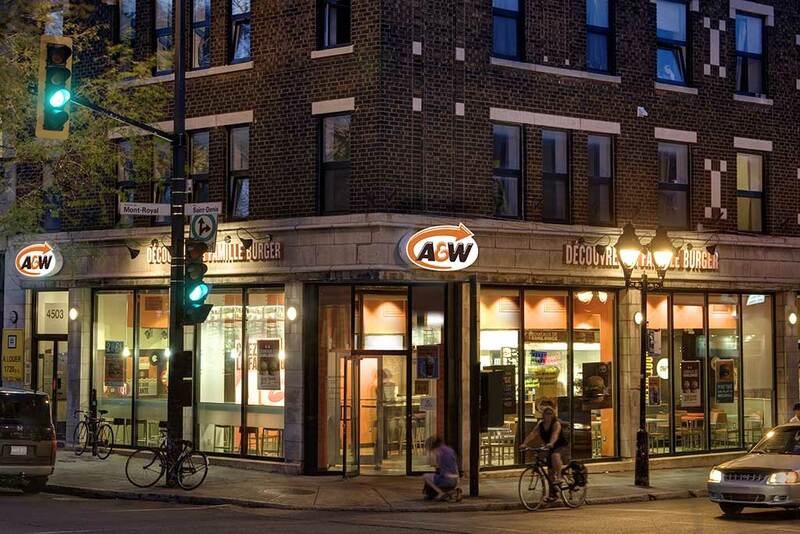 A&W opened its first Urban Restaurant in 2010. There are now 35 locations across the country with plans to have more than 80 urban restaurants by the end of 2020. Designed for densely-populated urban areas with high pedestrian traffic, the restaurants are open 24-hours and feature a modern look, which appeals to the younger, millennial guests that are likely to work or live in busy downtown urban centres. The restaurants feature glass facades, high communal tables, wall- and window-facing counters with bar stools, outlets for guests to charge their electronics and self-serve kiosks. A&W franchisees are business-savvy with a strong record of success. Relationship-building, people-management, passion and dedication are essential characteristics for success. Restaurant management experience is not mandatory as A&W provides all of its franchisees with extensive support and restaurant management training. During the training program, A&W franchisees will learn everything from breading A&W’s homemade onion rings to successfully running their business with productive employees, low turnover and high profit margin. Dedicated support from an Opening Team and Operation Specialist ensures a successful restaurant launch, and A&W provides ongoing operations and marketing support to ensure franchisees are operating at the highest standard. A&W believes that sourcing simple, great-tasting ingredients, farmed with care is the right thing to do, and has been at the forefront of the natural ingredient movement since the launch of its Ingredients Guarantee in 2013. Through the Ingredients Guarantee, A&W stands behind its high-quality ingredients, which make such great tasting food. It was the first national quick service burger restaurant in Canada to serve beef raised without the use of added hormones or steroids in 2013; chicken raised without the use of antibiotics and eggs from hens fed a diet without animal by-products in 2014; organic, Fair Trade coffee in 2015; and pork raised without the use of antibiotics in 2016. A&W knows that every choice today affects the future, and is committed to reducing its environmental impact in key areas: packaging, waste, food, energy and water, and is proud to work with like-minded partners and suppliers. A&W Food Services of Canada Inc., home of Canada's best-tasting burger†, is 100 per cent Canadian owned and is one of the strongest brand names in the Canadian foodservice industry. A&W is the nation's second largest hamburger restaurant company with more than 860 locations coast-to-coast. A&W Restaurants feature famous trade-marked menu items such as The Burger Family®, Chubby Chicken®, and A&W Root Beer®. Potential franchisees interested in joining A&W can contact restaurants@aw.ca or visit awfranchise.ca for more information.